Hello, my 03 Corolla recently developed a loud scraping noise under breaking at low speeds and when setting off - up to 25mph. I recently had the front discs and pads replaced but the issue remains. 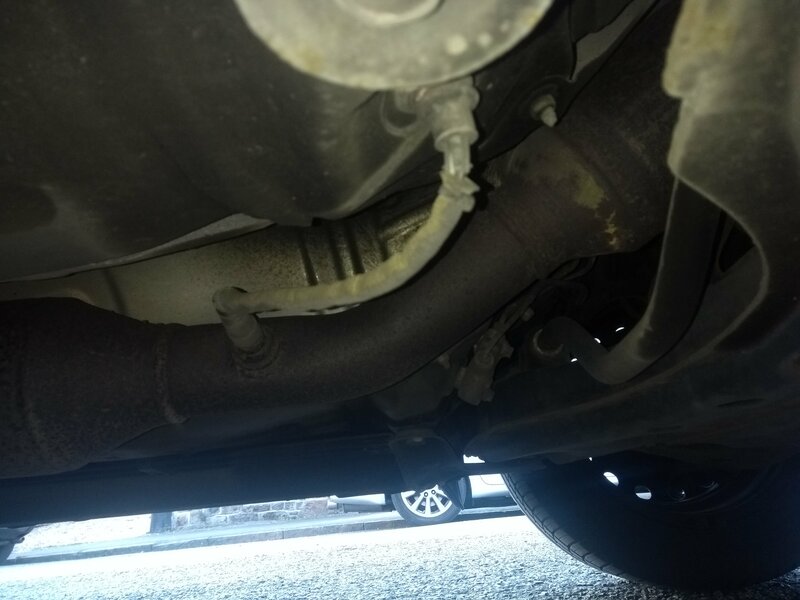 I have just taken a picture of the underneath of the car and there is a cable or lead which looks frayed. Assistant: Where exactly do you think the noise is coming from? And how long has this been going on? Customer: I thought it was the brakes, but the noise is there without braking when I am driving at low speeds. Assistant: Are you fixing your Corolla yourself? What have you tried so far? Customer: I'm not, no. I don't have much mechanical knowledge. I was hoping the brake replacement would fix it. Customer: Is it possible to send the pictures I took earlier? They may be more helpful than anything I can tell the mechanic. Expert: CarDoc replied 12 days ago. Thank you for using JA. Is the noise coming from the rear? How long has this been happening? Customer: replied 12 days ago. I can't really tell. When you're in the car it sounds so loud that it's difficult to pinpoint. It's been going on for roughly 3 weeks now. If the brakes are binding, the wheels gets covered in brake dust which looks like rust on alloy wheels. The best way is to put it on a car lift and spin each wheel by hand. The wire in the picture looks like the O2 sensor and has nothing to do with the brakes. There should be no noise when spinning the wheel and it should spin freely. It seems like binding brakes or wheel bearings. Do you have issues when braking, such as the car pulling to one side? does your car drag when setting off? The braking is fine, but the noise in concerning. Is there a way for me to clean brake dust off? Do you have excess brake dust on one or two wheels? I may have. Does that sound like the most likely explanation? Yes, most likely. You may have a seized caliper which is holding the pad against the brake disc when you're driving. Brake dust comes off with any wheel cleaner spray, but your issue is more serious than cleaning off brake dust. Today, I repaired an over-adjusted handbrake which was cause the pads to bind with the handbrake off and the rear wheels were both covered in brown rusty looking dust. My advise would be to get it checked sooner rather than later because binding brakes also causes overheating damage and excess wear on the discs. My goal is to provide you with excellent service. If you're satisfied with my assistance, your 5-star rating at this time is appreciated. If you have any further questions, don't hesitate to ask! Okay, I'll get that checked out soon. Thanks for your help.